How much does a mini-split AC cost? What’s the price of a mini-split heat pump? What’s the best brand in the U.S. market? These are the questions answered in this ductless AC and heat pump buying guide. Our goal is to give you accurate information you can use to plan the budget for your air conditioning and heating purchase. What is a Mini-split AC or Heat Pump? How to Get the Best Mini-Split AC/Heat Pump Prices? We provide the detail you don’t find elsewhere, and that’s why homeowners come here to plan their project. Here’s an overview for those just starting to research these efficient systems that continue to grow in popularity. Mini: This term refers to the fact that the outside unit of a mini-split system, technically called a condensing unit or condenser, is smaller than a standard split system outside unit. Maximum capacity of a mini split system is less than the capacity of a standard split system. It’s more compact, and it can be installed on the ground, an outside wall or the roof. Split: This term means the system has an outside unit, the condensing unit, and an indoor unit called the evaporator or air handler. This differs from a package unit where the heat source and air handler are combined in one large cabinet. Each mini-split condenser works with up to eight air handlers in separate rooms or zones. Evaporators are installed in the ceiling (small), high on a wall (small and medium) or on the floor (large) based on project requirements. Ductless: Mini-split systems are also called ductless systems because no ductwork is required. Refrigerant carries heat from the condenser to the evaporator when heating (heat pumps only) and from the evaporator to the condenser when cooling (AC-only and heat pump models) through separate lines installed through the wall (preferred) or roof (some commercial installations). An electrical power line runs between the two. A drain line from the evaporator runs to the outside to drain condensation when the unit is air conditioning and dehumidifying the space. Some mini-split systems are AC-only models for warm climates; others are heat pumps that heat and air condition in cool climates. Noise Very quiet. Compressor unit placed outdoors. Internal units contain quiet fans. Window and through-wall air conditioners are much noisier. For traditional central air, noise depends on the placement of the compressor, often located in the garage or in a dedicated closet. Zone Heating and Cooling Yes You can add zone control for traditional HVAC with extra $1500-$3000. Ducts No ducts, so changTraditionaltake filters and cleaning ducts are not an issue. Ductwork consumes significant internal space. Not an issue for homes designed around ductwork, but possibly a considerable disadvantage when retrofitting older buildings. Aesthetics Each head or cassette is visible in any room where mounted. While they can be placed with discretion, they cannot be completely hidden. Refrigerant lines must run to each zone inside or outside the building, but often are unsightly unless hidden inside walls. Ductwork and vents are usually located behind drywall, keeping them out of sight, with only a non-descript great opening where the air emerges. People don’t notice ductwork. These four factors will determine your mini-split HVAC system cost. Functions: AC-only units cost less than heat pumps that both heat and cool. Air conditioners usually have a +/-5kW electric heater to supply resistance heat, but that type of heat is inefficient and expensive compared to heat pump heating. Ductless heat pumps have small heaters too, but they’re only used for emergency heating if the heat pump fails. Comfort: Compressors in some premium models have inverter compressors that are not only more efficient, they deliver quieter, more consistent heating and cooling without temperature fluctuations. They’re better at eliminating hot/cold spots, but they cost more than units with standard compressors. 3. Efficiency: Mini split system ACs and heat pumps range in efficiency from about 15 SEER to 38 SEER. This is a rating of the air conditioning efficiency, the Seasonal Energy Efficiency Rating, that describes how much cooling can be accomplished per the energy used. It’s like gas mileage, and higher ratings are more efficient. The rating for heating is HSPF, or Heating Seasonal Performance Factor, and ductless heat pumps start at about 9.0 HSPF and range to about 15 HSPF heating efficiency. Efficient units cost more. 4. Size: One criticism of ductless systems is that they are not as large as standard split systems, but then, they are typically used to heat/cool smaller areas. Single-zone mini split systems range in size from about 9,000 BTU to 42,000 BTU. Multi-zone systems create the same number of BTUs, but they are split between two or more evaporators. For example, a 36,000 BTU condenser might serve four 9,000 BTU evaporators. The larger the system is, the more it will cost. 5. Single Zone or Multi-zone: Because multi-zone systems typically have two to five evaporators/air handlers, their equipment costs are higher. It’s important to properly size the unit to serve the space it is installed in. The disadvantage of the unit being too small is obvious – you won’t get enough heat or cool air. But a unit that is too large will have problems too such as producing temperature fluctuations and failing due to short-cycling. Asking your HVAC technician to perform a Manual-J Load Calculation test is the best way to properly size your ductless system for the space it will serve. However, since we want to help you estimate the size of the system you’ll need, we’ve created this quick and quite-accurate table. First, find your location on this map of climate zones in the United States. Now, the warmer your climate is, the more BTUs of air conditioning you’ll need. It’s the reverse for heating in cool climates. Mini-split systems are not a good choice as the only heat source in climates where temperatures are regularly below freezing. How efficient should your ductless mini split system be? There are a couple ways to approach it. By priorities: Many of our readers put eco-friendly sustainability at the top of their criteria list when choosing how to air condition and heat their space. If that reflects your values, then buying the most efficient mini-split system you can afford will give you peace of mind. Thank you for using this information to research your mini-split HVAC system purchase. Perhaps your friends and followers on social media would appreciate reading about these ductless systems if you post a link to the information on Facebook, Twitter or other social media. Here are ductless split system prices for Standard and Premium brands in four categories. Keep in mind the factors listed above that affect price including air conditioning/heating capacities from 9,000 to 42,000 BTU. The price above is based on installing a new mini-split heat pump for a 1700-2200 sf house. In order to offer an equal comparison between each brand. The mini-split system includes the same: 2 * 20 SEER 18K BTU Outdoor Units and 6-7 Indoor Wall mounted Air Handlers. How much does it cost to install a ductless AC or heat pump? Here are ductless mini split installation costs and the costs of extras you might need for the project. Basic mini-split system installation: This step involves installing the outdoor unit, indoor unit or units and connecting the system’s wiring and refrigerant lines and running the drain line. Controls including Thermostats: There’s a wide range of controls available to suit your preferences. Depending on the system, your options might include a handheld remote, the wall-mounted wired thermostat in non-programmable and programmable models, a wireless Wi-Fi programmable control and smartphone app that works with a Wi-Fi control to allow you to monitor and adjust your system from anywhere. Last summer, our mini-split AC unit proved useless against the sweltering heat, which is why we decided to upgrade to the more powerful Pioneer 12000 BTU 230V mini-split system a few months ago. The unit is notably more industrious than the one we had although this comes at a cost: the whirring of the fan is a bit louder. Also, I noted a few accuracy issues with the inverter. The system keeps lowering the temperature of the room beyond the preset value (I had set it at 75 before I left for work. A few hours later my wife called complaining that the thermostat read 73). I intend to make calls to rectify this since I read that it is a common issue that stems from a faulty motherboard. Despite this minor hiccup, however, the unit runs well with noise levels that are bearable and smooth functionality. Once my problem is fixed, I would definitely recommend this to my friends. I simply can’t say enough good things about the Friedrich MC12Y3JM Ductless mini-split AC. The lower price tag came with a lower BTU (12,000) but that was a sacrifice worth making in my opinion since it’s more than enough for my small condominium. The highlights of this unit are that it offers 4-way cooling and air flows that feel very natural (you won’t feel like you’re being blasted by air from an open window). Installation was swift, highly efficient, and very professional going by how excellently my unit is still running 6 months after installation. This is a purchase I am not likely to regret in the near future and I would totally recommend this unit for other small-apartment dwellers. I bought the Senville SENL-12CD mini-split AC about a year ago and it is still running well as new save for a few parts that have needed replacement over the past few months. One thing I and other buyers of this unit love are how quiet it is. We decided to go with professional installation mainly because the instructions provided in the manual are very unhelpful. Everything is vaguely described and surprisingly, the customer support will only get you more confused. Once properly installed, however, there is little we can complain about. Great unit overall! Immediately we found out that the MRCOOL 24,000 BTU ductless mini-split heat pump came with Wi-Fi connectivity that allowed us to easily control it via our smartphones, we were sold! The unit is touted as one of the easiest to install in the market but we’re the farthest thing from DIYers. Our busy schedules only allowed us a few hours to supervise the installation of the unit by professionals one afternoon, which was fairly straightforward. Since the installation was completed 3 months ago, we haven’t had any hiccups with what we think is an excellent ductless heat pump system that is well worth the buy. Initially, we had wanted to go for the 24,000 BTU MRCOOL but my brother (who is admittedly more tech-savvy) talked me down to the 18,000 BTU unit, which he thinks is more than enough for my quaint little bungalow. Installation was an absolute breeze (I would have done it myself but I was offered free installation by the store I bought it from) and done fairly well, save for a few missing screws which I replaced as soon as the technician left. The ductless heat pump does exactly what it says it will, something I can attribute to the refrigerant it uses. I also enjoy how easy it is to set the temperature on the go via an app on my phone. The future really is here, guys, and this is the ductless mini-split heat pump you should be looking at. I needed a powerful mini-split heat pump for my home in Essex and the 24,000 BTU Conair unit came highly recommended. The noise levels are bearable when the unit runs on medium to high speeds but once the speed is lowered, it is ghostly-quiet. The air system keeps my house warm enough on frigid nights and is delightfully easy to adjust during hot afternoons. The installation job was also very professional and the unit looks like it will last a few more years without any tinkering or repair jobs necessary. Finding a good contractor to install a ductless heat pump is a bit more difficult than finding someone to install or service a forced air HVAC system, but it’s well worth it. Proper installation can mean the difference between cost savings and energy waste. This is especially for the refrigerant lines, where proper insulation is critical. Probably the best way to find a certified contractor is searching from the website of the manufacturer of your preferred ductless heat pump. Fujitsu and Mitsubishi are the major manufacturers, and both companies have contractor search engines available. Some states and utilities also have a list of contractors certified to these systems, so check with your utility company. As with any home improvement project, due diligence is always good practice before hiring a ductless heat pump installation contractor. Mini split is a term that has been synonymous with ductless for decades, but now mini splits are produced for ducted use too. Most of the brands are making ducted systems. This includes LG, Mitsubishi Electric, Daikin, Pioneer, Panasonic, Gree and Fujitsu. Ducted mini split systems are preferred by home and business owners that don’t want a conspicuous wall, ceiling or floor unit competing with their décor. These systems can be installed as retrofits in homes and businesses, making use of the ductwork. As with ductless systems, ducted mini splits are available in single and multi-zone systems. Single ducted mini-split system: A single indoor unit is served by one outdoor unit. There are two common installation options. First, the indoor unit can be installed in a wall between studs and covered with a grill made by the manufacturer for the purpose. The second option is to install the unit in the wall or floor ductwork near an air grate. Multi-zone ducted mini-split system: These systems feature one large outdoor unit and two to eight indoor units. The indoor air handlers are installed in the wall or in existing ductwork near existing grates, so air is pushed a very short distance. Far less airflow is required with this type of installation than in a standard split system that forces air from one central location to multiple grates. The benefit of using a very efficient ducted mini-split system vs. a low-efficiency standard mini-split system is that the unit can be smaller. Thanks for your efforts to make a very palatable and informative article. I am looking at retiring to Tucson, AZ from NW Oregon with total extreme climates. Looking at homes in Arizona I have lots of questions about the HVAC systems. Thanks! What brand did you get? Does anyone know anything about the Blueridge Units? Are they all that different from Mitsubishi’s in terms of sound and quality? Any help would be greatly appreciated. DO NOT BUY A CARRIER DUCTED MINISPLIT! The problem is the thermostat, which cannot: (1) display current room temperature, (2) be programmed to lower the temperature at night and raise it during the day, (3) connect to wifi, (4) be installed next to a light switch, and (5) cannot be replaced with ANY other thermostat – not even one by Carrier. The system also does not deliver a temperature consistent with the setting. High level Carrier technical support cannot believe Carrier would be stupid enough to put their name on such a terrible system. We may have to replace the entire system just because of the thermostat. This is an excellent piece of research and an incredible guide to understand all there is to know these units. I have a 10 ft by 20 ft renovated garage that is now a studio/workshop. If I am in the studio year round in Baltimore, MD., what is the smallest and most effective efficient unit(s) you would recommend I closely look at for me to consider purchasing? Com on, don’t hold back! I am trying to do my homework before we purchase a mini-split heat pump for a cottage we are renovating. 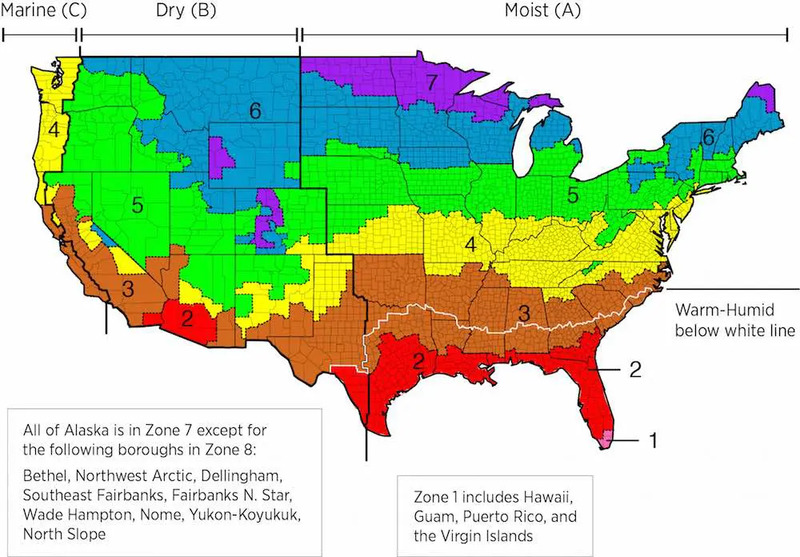 We live on Long Island, NY so zone 4 (but I think we are actually closer to zone 5 based on the weather pattern the last few years). We are obviously more concerned with heat than A/C. It seems that I am finding conflicting information regarding the size unit we need. The size of the cottage is about 350 square feet. Based on this site, we would need a 6,300 BTU unit but other sites say a 350 square foot room would need a 9,000 BTU unit. Could someone help me figure out the appropriately sized unit with the caveat that we are more concerned with heat than cooling? Very informative site! We’ve had a ductless heat pump installed since Sept. 2015. When it works, it has given us an impressive reduction in heating costs (approx. 40% savings) and has generated substantial heat right through our coldest days! Unfortunately the Fujitsu RLS3H unit we selected has not yet made it through a winter without failing at least once! This year we have been without the use of our heat pump since Nov. 26 and parts are not scheduled to arrive till Jan. 11. In summary I am still enthused with heat pumps but would avoid Fujitsu. We have counselled several others who have since had good experiences with both Daiken and with Mitsubishi. One suggestion I would add is to opt for a remote wired thermostat if available to allow temperature control at the thermostat rather than at the heat pump itself as the temperature drop varies with outside temperature.